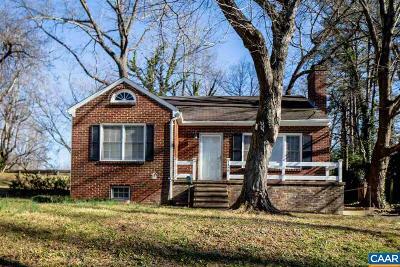 Charming, brick cape cod in the desirable Rugby Hills neighborhood! This home has classic bones and is ready for its new owners to bring their vision to make this their forever home. Wonderful natural light fills the living room with functioning wood-burning fireplace. Beautiful hardwood floors throughout. 2 bedrooms and 1 full bath on the main level, + what could be an amazing master suite on the second level. Full basement is partially finished with a full bath and kitchenette, has its own entrance, and is metered separately. Located in a lovely, established city neighborhood within the Venable school district. Walk to Greenleaf Park, Walker Upper Elementary, Burley Middle School, MarieBette and the Preston Avenue corridor!